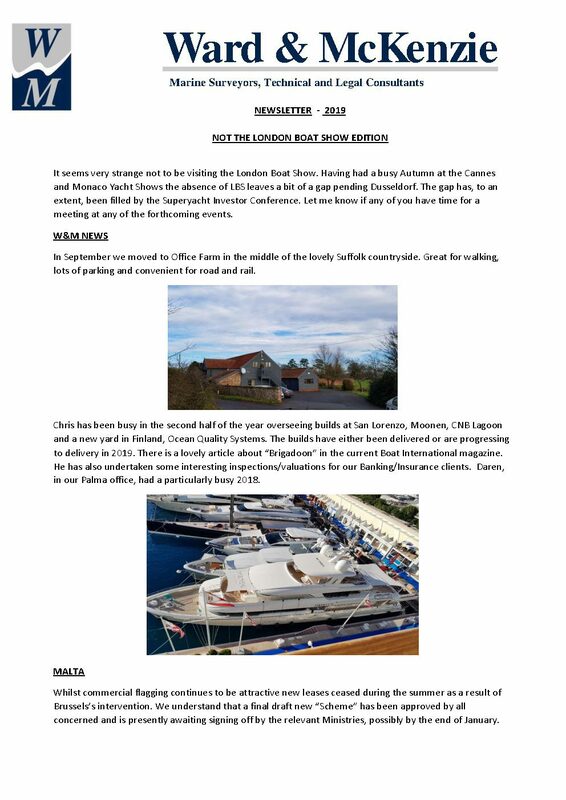 It seems very strange not to be visiting the London Boat Show. Having had a busy Autumn at the Cannes and Monaco Yacht Shows the absence of LBS leaves a bit of a gap pending Dusseldorf. The gap has, to an extent, been filled by the Superyacht Investor Conference. Let me know if any of you have time for a meeting at any of the forthcoming events.